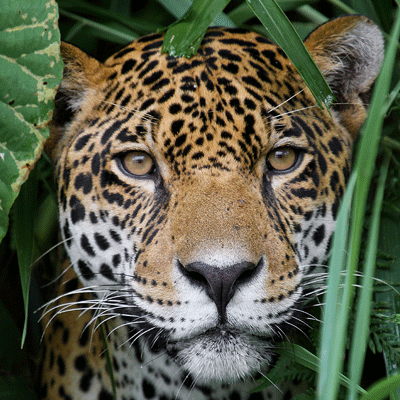 With programmes such as Buy an Acre, Plant a Tree and Keepers of the Wild, World Land Trust (WLT) gives supporters choice over how they would like us to use their donation- helping our partners create reserves, reforest degraded habitats or employ rangers to protect wildlife from illegal logging and poaching. However, not all projects fit neatly into these categories, and sometimes partners need help for other aspects of their work and also for emergencies that arise, and that is when WLT can call upon the Action Fund. This year WLT’s Action Fund was able to provide immediate support to our partner Foundation for the Preservation of Wildlife and Cultural Assets (FPWC) in Armenia when a wildfire burned through the reserve and they needed firefighting resources and support for volunteers. 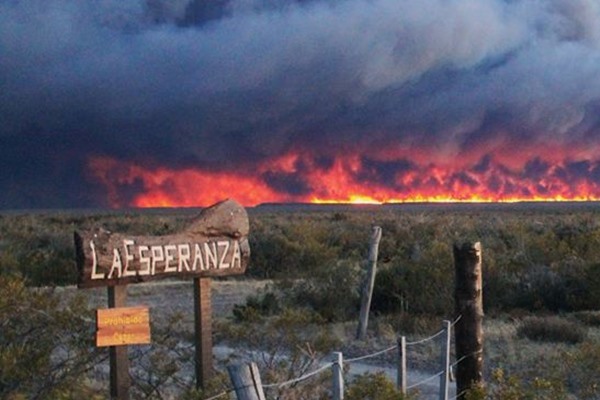 Funds were also needed to support the recovery of the Estancia la Esperanza (Ranch of Hopes) reserve in the Coastal Steppe of Argentinian Patagonia, following the fire that burned through half of their reserve. The fire burnt through a large portion of fencing which separated the reserve from ranches where wildlife would be under threat of poaching, and left the reserve buildings vulnerable to opportunists. 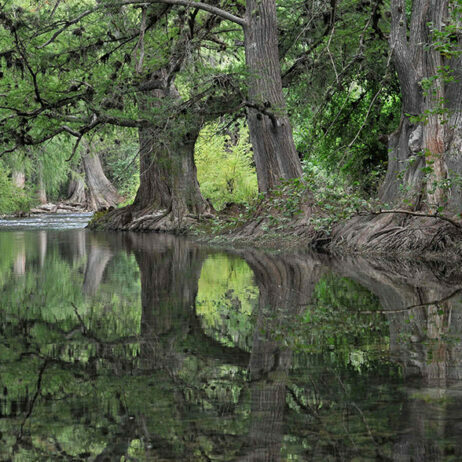 With support from the Action Fund, WLT’s partner Fundación Patagonia Natural (FPN) were able to restore the reserve’s boundaries and enable the ecosystem time to recover from the fire without further damage. As well as providing a fund for rapid response in emergencies, the Action Fund is also used as a dependable source of income to support projects that need long-term funding. The reserve managed by FPWC, the Caucasus Wildlife Refuge, is partly owned by FPWC but some areas are protected by long-term leases which provide income to local landowners and financially compensate the community for using the land for wildlife conservation. 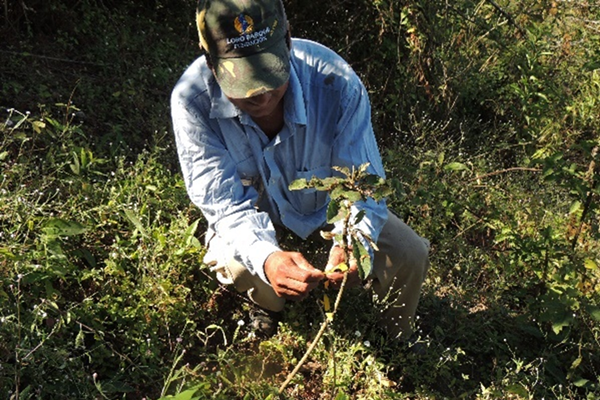 Another example of a long-term project that depends on donations to the Action Fund is being carried out with partner Naturaleza y Cultura Peru (NCP) where private conservation areas (ACP) are being created with communities living on the border of the Andes, surrounded by Montane Forest and Páramo habitat. WLT’s Action Fund has been supporting this successful project for the past three years, and two ACPs have been recognised by the Peruvian State: 66,954 acres (27,095 hectares) in Chicuate-Chinguelas (June, 2016) and 8,650 acres (3,500 hectares) in San Juan de Sallique (September, 2017). WLT is also able to support NCP’s work thanks to funding from WLT’s corporate supporter, Puro Fairtrade Coffee, working with the community of Tabaconas to create a third ACP. 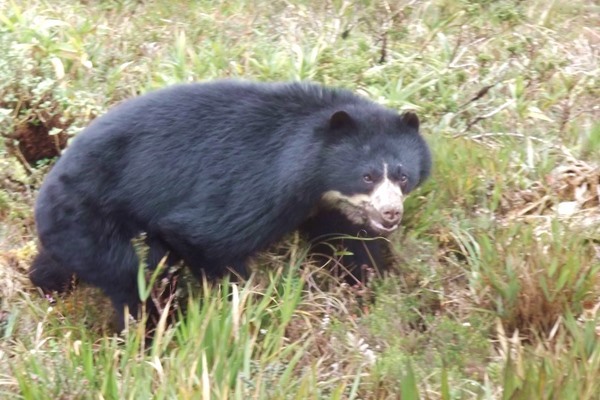 Altogether, these ACPs will create a corridor for wildlife such as the Spectacled Bear and Endangered Mountain Tapir down the border of the Andes. 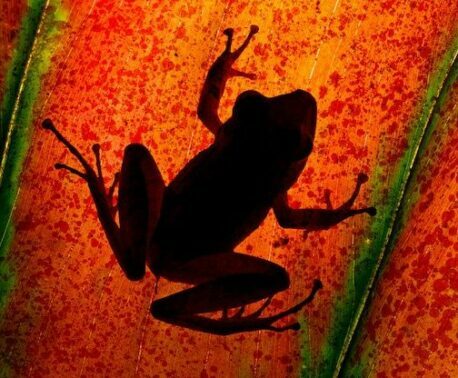 The Action Fund also supported several extensions to existing reserves protected by WLT partners, including the Olympic Forest Reserve created with Reserva Ecológica de Guapiaçu (REGUA) last year. 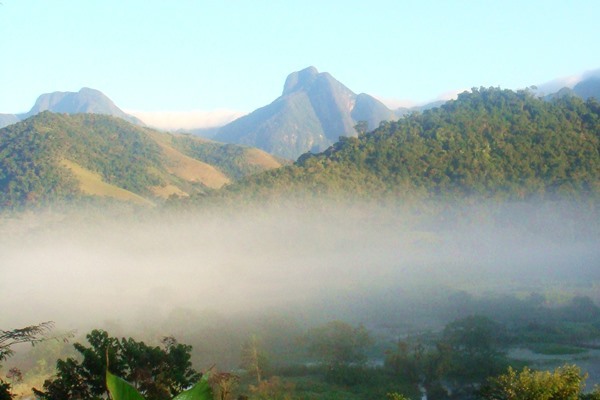 An extra 151 acres (61 hectares) of Atlantic Forest was added to this reserve which provides vital habitat for more than 470 bird species, 264 mammals and 73 amphibians. 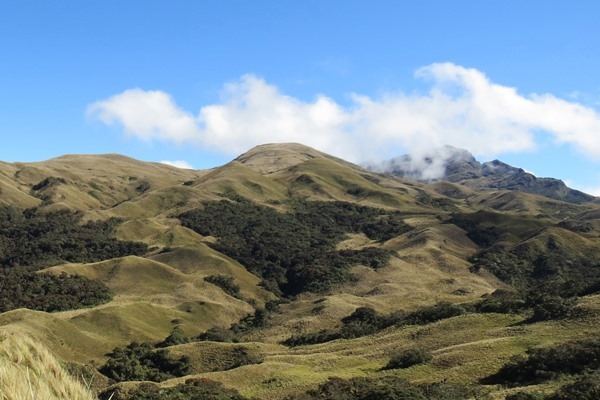 In 2015, WLT’s Forests in the Sky appeal raised funds for WLT’s partner, Fundación EcoMinga to create a cloud forest corridor between the National Parks of Sangay and Los Llanganates in central Ecuador. Together with wildlife tour specialist and WLT corporate supporter Naturetrek, the Action Fund has supported further land purchase between these two national parks to widen this corridor for precious Ecuadorean wildlife ranging from miniature orchids and poisonous frogs to large mammals including Spectacled Bears and Mountain Tapir. Buenaventura Reserve on the western slopes of the Andes protects important habitat for birds such as the Endangered El Oro Parakeet and Grey-breasted Hawk. 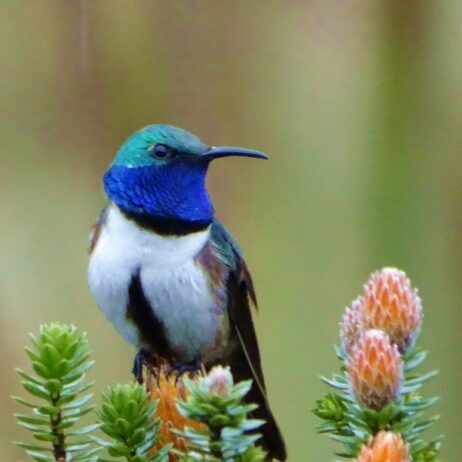 A collaboration between WLT and partners American Bird Conservancy (ABC) and Fundación Jocotoco was able to secure important extensions to Buenaventura this year bringing the total protected area of this reserve to 6,363 acres (2,575 hectares). The Action Fund was also able to provide support when an opportunity to plant approximately 80,000 trees in Fundación Jocotoco reserves arose. The Ecuadorean government provided the tree saplings but no funding to support the costs of planting them. WLT was able to respond quickly to Fundación Jocotoco using the Action Fund which ensured early planting of the trees in their Buenaventura, Tapichalaca, and Jorupe reserves. 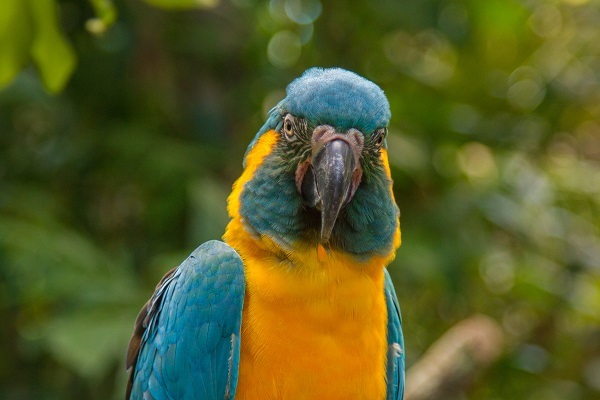 WLT’s partner Asociación Armonía in Bolivia specialise in protecting the Beni Savanna habitat of the Blue-throated Macaw, a Critically Endangered endemic bird species thought to number as few as 250 individuals left in the wild. 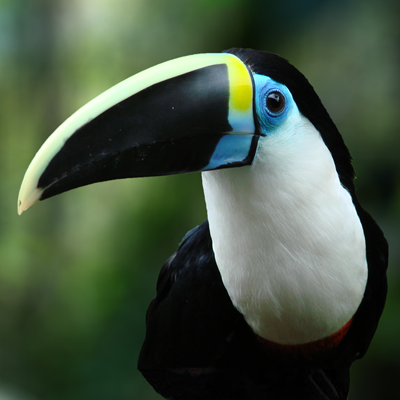 In 2008, WLT helped Armonía create Barba Azul Reserve, which protects foraging and roosting habitat for the northern subpopulation, and this year WLT’s Action Fund provided initial funding for a reserve that would protect habitat for the southern subpopulation (of 70-80 birds). More information about this project will be published in the New Year. Donations to the Action Fund come from WLT Friends, who commit to a monthly donation of £5 or more, and their support gives WLT the flexibility to direct money to where it is most urgently needed. The Action Fund is also supported by fundraisers who use personal challenges such as marathons to raise awareness and funds for wildlife conservation. 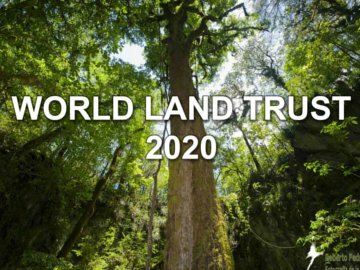 Looking back on the achievements of this year, WLT would like to thank everyone who has contributed to the Action Fund in 2017, through a direct donation, WLT Friendship or by fundraising for a personal challenge. Thanks to you, all of the above was possible. Not a WLT Friend yet? Sign up here.